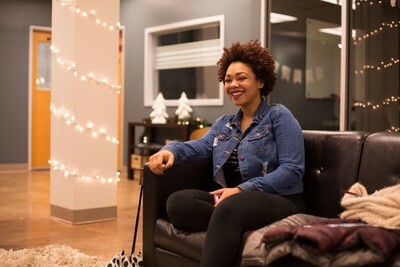 Meet Nia Darville, a vibrant transfer student who has quite the story of how she found her way to southwest Michigan and the campus of Andrews University. 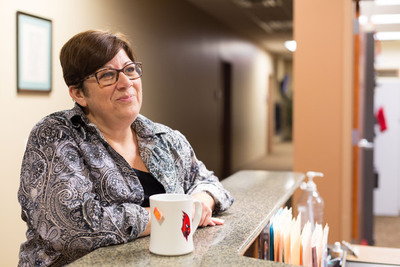 She is quick to admit that initially, coming out of high school, Andrews did not make the list of her top candidates for higher education, but in serendipitous fashion, Andrews University came back into view. Nia’s pages of the Andrews story have taken her from one campus to another, and from one major to another. Read all about it at Stories of Andrews: Andrews.edu/stories. Thank you for sharing your story, Nia; you represent the spirit of Andrews. If you are like me, then your first memories of Madagascar date back to 2005 with the release of the comedic animated movie “Madagascar,” starring several fun-loving animals. But for Professor Joel Luc Raveloharimisy, this African island paradise, located off the southeast coast of Africa, is home. One of Joel’s favorite childhood memories is spending time with his four siblings and his parents playing soccer and sharing stories. The influence of his parents was instrumental to the choices Joel made in life. From the age of 8, he worked as a literature evangelist, selling books and seeing souls converted to follow Christ and become Seventh-day Adventists. 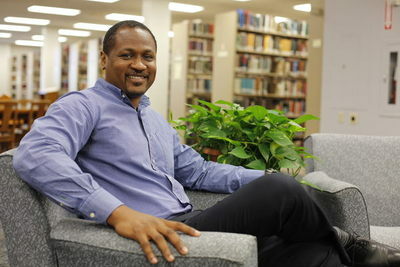 As a result, he was able to pay for his education and has never incurred educational debt, though he has completed two bachelor's degrees, a master's degree and a PhD. Joel has the lofty goal of alleviating poverty in Madagascar. 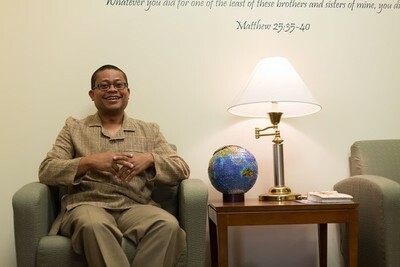 Through fundraising, he has made significant headway to this end, and continues to utilize the resources he has as an Andrews University professor to increase the impact he and those associated with him can make on the people of Madagascar. Joel’s influence reaches beyond the walls of Andrews University. 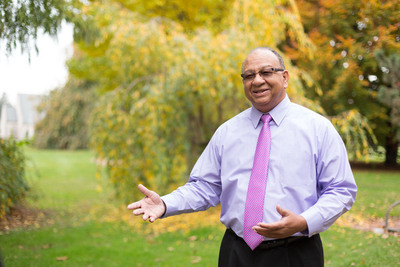 His life and work demonstrate the Andrews’ spirit. Find out exactly what Joel and his team have accomplished by reading his full story in Stories of Andrews: andrews.edu/stories. Every once in a while, our stories are marred by tragedy. And so, it is with sadness that we pause to mark the Andrews University story—a story touched once again, by tragedy. On Sabbath, Nov.19, 2016, tragedy took the life of two of our finest—Austin Currie, a junior engineering student from the great state of Illinois, and Chandler Koerting, a junior computer science student, also from Illinois. They were inseparable friends—inseparable in life and in death. I spent my Sunday evening in the Meier Hall Chapel with a gathering of students, staff, faculty and administrators who assembled to share their fondest memories of Austin and Chandler. I am taking this opportunity to reflect on some of the sentiments that were shared. Austin was remembered as a fun-loving and deeply caring friend. He was regarded as one of our best RAs, who often routinely spent Sabbath afternoons cooking for friends. He was also known for sharing meals sent to him by his father with others. A fun fact that brought laughter to last evening's solemn occasion was that Austin wore flip-flops and shorts during all four seasons—even through the snow banks. On one occasion a young lady, whom he did not know, was stranded off-campus on a cold Michigan winter night because her car battery had died. She called one of her friends to assist her in jumpstarting her car, but that friend was unable to help and offered to send his friend instead. That friend was Austin, who showed up in—you guessed it—flip-flops and shorts and jumpstarted her car. That act of kindness to someone whom he did not know left an indelible mark. And that act of kindness was not random—it was a mark of his character. The fact that Chandler genuinely cared when no one else did was a sentiment that served as a common theme during last evening's sharing. He was incredibly kind and sincere. There was depth to his caring. He had a winsome smile that could put anyone at ease. Not to be undone, Chandler’s friends also recounted his funny side—he could manage to take a nap in any position. One of his friends described a time when Chandler, who is much taller than her, placed his arm on the crown of her head during a casual greeting. She became curious when the weight of his arm seemed to get heavier. She looked up, and there was Chandler, taking a quick nap. These two young men have provided us with a legacy of how to live. They have demonstrated with their own lives that our legacy has less to do with longevity and more to do with a life of fullness and quality. Stephen Covey, in his classic, “The Seven Habits of Highly Effective People,” opines that one of those seven habits is to begin with the end in mind. A few days ago I spent some time with an individual who recently returned to Andrews University after many years. I was moved and encouraged by the stories he told me. I want to share some of what I heard with all of you. A 22-year old Air Force medic, he walked down the hall of the hospital in San Antonio. Coming the other way he met a tall, young chaplain—a priest. “I don’t know that I want to be a Christian anymore,” the 22-year-old told the chaplain; he just wasn’t sure any longer that God was real. The chance encounter ended, but something about that conversation led the young medic to be open in a new way to the presence of God. He started to sense the reality he had doubted and so he decided to test God out. First he took two weeks of leave, and what he chose to do in those two weeks was unique; he spent them in a library with “The Desire of Ages” and the Bible. “God, I am going to give you two weeks to show me that you are real,” he prayed. The days passed and he continued to read until finally he reached a chapter in “The Desire of Ages” on Gethsemane. As he read of the struggle of Christ in the garden, suddenly it all became real. He knew for a fact not only that God died for him but that he died because of him. He started weeping, so much that a concerned librarian came up to check that he was okay. He was. He had just experienced conversion. A few months ago this young medic became a faculty member at Andrews University as assistant professor of chaplaincy: Johnnathan Ward. You can read the rest of Johnnathan’s story in Stories of Andrews, and it is worth reading. Since that experience, this young man with so many doubts has become a caring professional who has touched the lives of many through the service of chaplaincy. He served in the military and in hospitals, sharing in the darkest moments of countless individuals and representing faithfully the God he has come to deeply love. Thank you, Chaplain Ward, for sharing yourself with Andrews University. Your story represents the spirit of Andrews. A few years ago, I interviewed a freshman student for a position that I wasn’t able to offer him. But I walked away from the process believing that somehow I had to find a way to work with him. Even though he was new he was exceptionally gifted, super passionate and peculiar. Peculiar isn’t a word that we often think of in positive or endearing ways. We think it's odd, or unattractive, or something to be set aside and discarded. Not so with me. Peculiar means ‘look closer there is likely something very special and distinctively alluring just underneath the beautiful.’ I see it as an invitation to dig deeper because I will likely be blessed by what I encounter. When it came to Zack Babb, I was right. Zack is uniquely gifted in approaching problems and opportunities in ways that are uncommon. By looking at things differently he is creating intellectual and spiritual space to create, innovate and dream in ways that would never cross my mind. 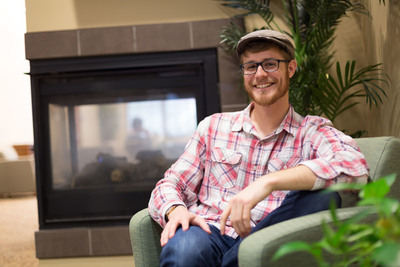 With his unique ability of weaving a fabric of different ideas, he came back to Andrews University from a year abroad with a project that will offer more of the world a more complete picture of who God is. Zack and his story are part of the spirit of Andrews. A few weeks ago I heard a story that I decided I would like to share with you, and it goes like this. 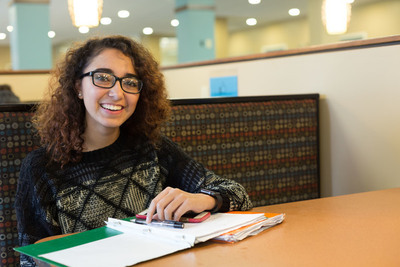 Sharyl Cubero is a freshman biology student. Recently in the cultural night sponsored by AUSA and GAUSA she won the competition for Ms. Andrews University. I wasn’t there so heard her story later but for those of you who missed out as I did, here is something of what she shared, and maybe a bit more. Sharyl came to the United States from Costa Rica when she was 2 years old. Her parents spoke little or no English, had never finished college and they moved into a poor, bad neighborhood. She remembers her embarrassment as a child, feeling she and her parents were “stupid” because of their background. Those feelings of not fully belonging or being accepted in the United States carried on until quite recently. Find out what changed by downloading and reading the rest of Sharyl’s story. Sharyl’s story is a testimony of parents who care deeply and sacrifice for their child, a God who is deeply engaged in each of our lives, and an individual who is forging a personal story of hope and possibility. Sharyl, may your time at Andrews University be another positive chapter in your story. You belong with us. Thank you for coming to Andrews University and enriching our campus. You represent the spirit of Andrews. It was a cool day in the fall of 2014, and the leaves had just begun to change. As I turned the corner to enter the Campus Center, there stood Sarah Stelfox. Long brown locks framed her face and the movement of her hair revealed the gentle breeze which caressed the day. I remember this day as the day I met Sarah, but the encounter which has left the deepest impression on me was a cold winter evening in 2016, when Sarah bounded into Campus Ministries for Tuesday Night Talk. The first thing I noticed were her snow covered boots, but as my eyes scanned upward I caught her vibrant smile and then, to my surprise, her shiny bald head. It was this day that I had the privilege of seeing a beautiful spirit of compassion, empathy and adventure in Sarah. Sarah’s mother had been diagnosed with melanoma, rapidly had to undergo brain surgery and was now in chemotherapy. Sarah recounted to me that some time ago a friend had made a deep impression on her when she shaved her head for a cause and Sarah had thought from that time forward that one day she wanted do the same. So when Sarah’s mom was fighting cancer, feeling down and faced with losing her hair, Sarah told her mom that she would shave her head and be bald with her. What happened next? Download her story to find out. Thank you, Sarah, for letting your story be part of the Andrews story; for showing us an example of compassion, empathy and adventure. You and your story are part of the spirit of Andrews. Stephanie Carpenter, chair of the Department of History & Political Science, was born and lived her entire childhood and undergraduate years on a small-scale dairy farm in Charlotte, a rural community in northern Vermont. Some of her earliest memories include television images of the Vietnam War, cooking with her grandmother and the death of her great-grandmother. As a dairy farmer’s daughter who wore homemade, hand-me-down, church-rummage-sale clothes and smelled of cow manure, Stephanie quickly understood her place in New England society. As her elementary teachers worked to correct her grammar and speech patterns, she discovered again and again that farmers were among the lowest social classes in her community. 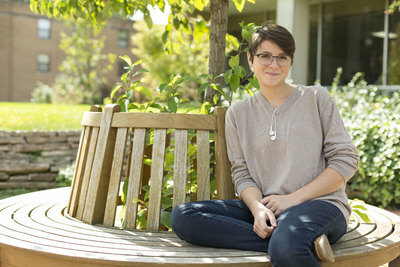 That stigma followed her across the country as she pursued formal and graduate studies. Stephanie was raised in the Catholic church, but while she attended services and catechism, faith and worship were not part of her family life. She participated in all the traditions and milestones of a Catholic youth, but never fully understood the reason or need to do so. By the time she was an adult Stephanie knew from her own studies that the Catholic church did not represent true biblical teaching. However, she had not yet found the message of Adventism—that journey took another 20 years. What’s the rest of the story? Read more by downloading her story. Stephanie Carpenter, you remind us that we are not defined and limited by our past, but we are liberated and transformed by the power of the cross. You and your story represent the spirit of Andrews University. Carlisle Sutton was born on the beautiful island of Nevis. Before the age of seven his family moved five times and to five different islands of the Caribbean, ending up in Trinidad, and—no surprise—he developed a deep love of nature. A son of a pastor, his greatest love soon became Christ and he knew very early he would do something that would reflect that passion. Years passed and finally in 2013 Carlisle’s early plans seemed to be coming true when he arrived at the Seminary at Andrews University. But it was here, sitting in a church planting class that something happened that Carlisle said changed his life: ZIP code 49022. Using ministry profile software this son of the Caribbean becomes for the first time acutely aware of a small city called Benton Harbor, only 15 miles from Andrews, yet with huge identified needs, struggling with food poverty, drug and alcohol abuse and relationship abuse to name a few. Yet more surprising than this to Carlisle, the city’s affinity to Adventism was only 0.3% (national average is 0.5%) and yet remember—it is only 15 miles from Andrews. Carlisle immediately had a dream to make a difference, to do something to influence the stories of that city. What to do? After prayer and hearing a sermon on planning big, his dreams grew even more, and H.E.L.P (Human Empowered Life Project) was born. So what has happened since then? You can read more by downloading his story. Thank you, Carlisle, for being part of the Andrews story in this community, for sharing yourself to change the life stories of children in Benton Harbor. Your story is part of the spirit of Andrews.